Ben - We're joined by Dr Sarah Staniland from Edinburgh University. Tell us about these bacteria. Sarah - Hello Ben. What they are basically is tiny little microbes about 2 or 3 micrometres long and they were discovered quite recently, mainly in the 70s by someone called Richard Blakemore. He basically discovered them by looking at environmental samples under the microscope and saw that some bacteria were moving towards the magnet. Chris - It's not an obvious experiment to do though, is it Sarah, to put bacteria near a magnet? So that's an amazing intuitive leap. Sarah - Yeah, yeah. It was. It was a very intuitive thing for him to do. Chris - So when you put a magnet near these cultures of bacteria some of the bacteria or all of the bacteria grow towards the magnet. Sarah - yes. All of the ones with magnets in will move towards the magnet. Chris - When you look inside those cells what's the actual form of the magnet? What shapes does it take? Sarah - What you see, the ones I work with come in all different shapes and sizes so as I say they're normally one or two microns. Some are round shaped, some are more rod shaped. The ones I work with are like mini worms, like spirals or a corkscrew. What you have down the central axis of the cell is what looks like a spine. So you get tiny little electro nanomagnets, you get tiny little rows in a chain: a string of pearls if you like. Chris - What are they made of? What are these nanomagnets? Sarah - They're made of either Iron oxides which are magnetised or the sulphur version of that where the sulphur has just replaced the oxygen - something called greigite. Chris - So it's very similar to what we think's going on in bats. They use the Earth's magnetic field to navigate around. I think they've now found deposits of this same material in brain cells in things like bats and also fish like salmon that navigate in the same way. Sarah - In pigeons and people as well! Chris - So what do we think they're doing? Sarah - Well, there's a lot of conjecture on why they have these magnets. A lot of ideas come from the fact that the ones found in the northern hemisphere seem to be north-seeking. If you think of the globe being round and you follow the direction you'd go in if you go north from the equator it actually draws them downwards slightly. In aligning with the magnetic field people have proposed that they're using it to grow down. They only grow in microaerobic conditions which is actually a little bit lower in the sediment. They're actually using it to find their ideal growth. Chris - How would they have evolved behaviour like that? How would they have got there in the first place? It's pretty ingenious. Sarah - I'm not sure of the evolutionary system of how they got them but I think sometimes they spontaneously use their magnetism so it could just be a spontaneous thing. Chris - If you take north-seeking bacteria to the south pole, do they die? Sarah - No, as I say when you grow them in the lab you can put a strong magnet to them and basically they just use it to orientate. As long as you keep in a microaerobic condition they'll grow wherever. Chris - Do we understand the machinery that they use to make these magnets? I guess that's what you're trying to flush out, isn't it? Sarah - These have only been discovered lately in the late 70s but a lot of the research activity's been based on trying to work out how they do it. Specifically, to find out how minarisation (the process we call this) occurs. This has a lot of implications for humans because we minarise bones. This has implications in medicine for medical reasons but humans are very big, complex bodies whereas microbes are much more simple so a good model system to start with to look at the minarisation process. Chris - Presumably, these bacteria have some kind of genetic pathway that enables them to make these magnets. How do they end up with the magnets actually lining up with all their north and south poles in a line rather than just jumbled up? If I get some magnetic things and just chuck them in a bag they just form a random jostle of particles, they don't form a nice straight chain. Sarah - That's a good question and what people have found is that they have things called vesicles which is like a little sac that's attached to the edge of the membrane inside of the bacteria. They're already formed in a row but they're held in a row by the protein - a long actin-like protein that they've just recently discovered. If you like, that's the string to the chain of pearls. Chris - How do you think if we were to borrow from biology, if we were to nick this from the bacteria that have invented it how do you think we could use it? Sarah - That's what we're looking at: how to use it because biology's really good at making perfectly-formed things. If you think about it, in our ears we have bones that are extremely delicate and very well-defined. You couldn't get away with having that bone in a crazy random shape. There's not much room for error. The really nice thing about biology is the precision. We're thinking of using these particles in lots of technological applications. When you think about it we use nanomagnets in many applications like recording media, information storage. As you mentioned as well there's lots of medical applications for nanomagnets. The problem is, when you synthesise these at room temperature in a lab then you get a variety of shapes and sizes. You have to size-select. These bacterial obviously just make them a very much superior defined size and shape. Chris - So you just have to do it the way the bacteria do it, presumably? Sarah - Or just get the bacteria to do it for us. Chris - What about in terms of exploiting this for human health and disease? Are there any things that you could use this for? I'm thinking it would be really quite neat if you could have some system where you tether a drug onto a miniature magnet and then perhaps concentrate the drug in say, a tumour, by using a massive magnet where the tumour is. All the drug molecule went just there and then you wouldn't have any side effects around the rest of the body. Sarah - Well, that's exactly what people are doing. The particular reason why these bacteria magnets are good is that they are surrounded by a liquid membrane. Because they're made by a biological body they've got this fatty coating and that's especially good for these sorts of technologies that you've just talked about. Because they have this coating then you can genetically engineer the bacteria to have an anchor site, if you like. That anchor site you can tether the drug to. Whereas if it's just an inorganic magnet then you can't actually tether a drug that easily to it. It's because it has this coating that makes it ideal for this purpose. People are looking into drug delivery but also things like other cancer treatments where you can use a magnet to take the particle to the side of the tumour and then use an alternating field to warm up the particle. That can either release the drug or burn the cancer itself. Chris - Is that coating also the way in which the bacteria detect what north and south is? It's all very well having a miniature magnet floating around your cell but how you actually tell the cell what direction your magnet's pointing in must be crucial to sensing the north and south. Is that how they do it, they have some kind of coating that detects the orientation of the particle? Sarah - No, the particle is a very rounded shape so no the coating doesn't do anything to that. The coating's just the sac that it's grown in and it remains on it once it's grown. Chris - How does the bacteria tell north and south from the orientation of the thing? 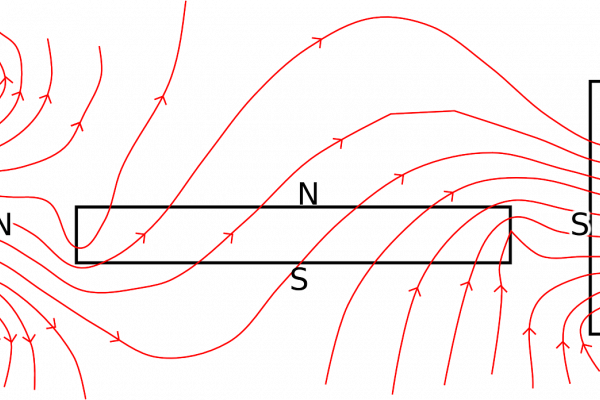 Is it physically that the force of the magnetic field twists the bacterium because it is so light? Sarah - That's right. It's not like they have a choice even when they're lying, when they're dying. When you look at them under the microscope you can just switch a magnet from left to right and they'll just rock back and forth. They don't really have a choice in the matter. Chris - Attractive, even in death. Thank you very much. That's Sarah Staniland, she's a researcher at Edinburgh University. Breast milk combats resistant bacteria. Where does the bacteria in our gut come from?